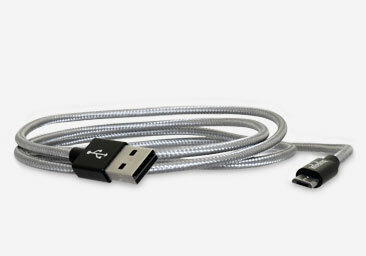 Compatible with most vehicles 2009 and up that have USB port supporting the iPhone with the Lightning cable*, and with the Android phones with OS system 6.1 and up. 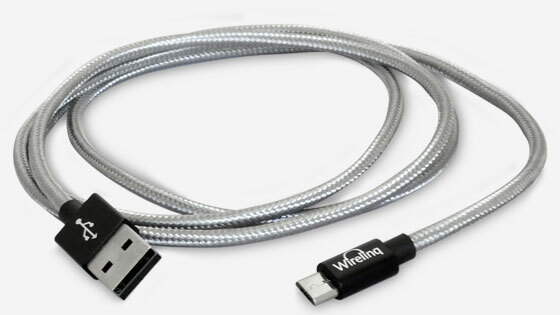 Wirelinq is a Smart Android USB Cable converter that allows for the easy integration of Android phone to the car stereo. 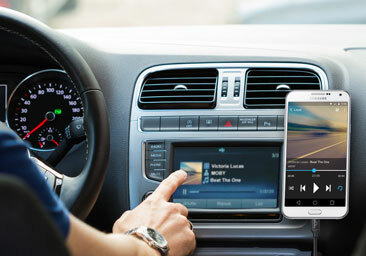 Connected to the USB port of the vehicle car stereo, it allows for the full integration of music, text, titles, controls via car stereo and steering wheel buttons, and browsing of the music via car stereo touch screen or knob. The device will also charge the phone while in use. Wirelinq has a smart chip with GROM proprietary algorithm inside its USB connector. It enables your phone to communicate to the car stereo for USB music integration. Your stereo can play the music directly from your phone via factory USB port, and display the titles and covert art. 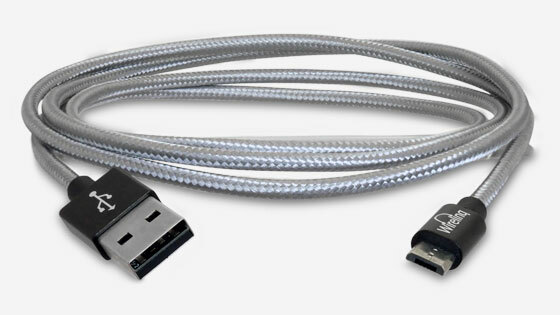 *USB port in your car should support iPhone via regular USB to Lightning cable. If the port supports iPhone with the "special" cable from vehicle manufacturer, Wirelinq will not work. Dashlinq Android App is required for Wirelinq to communicate with your car stereo. 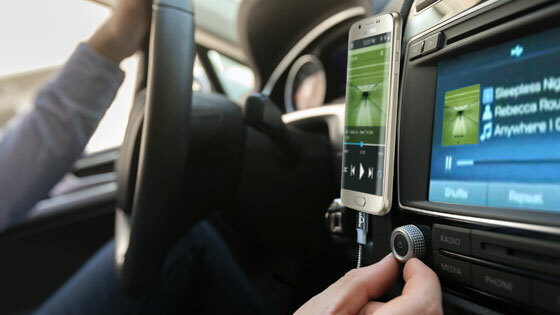 Dashlinq App provides music plugins to integrate to your car stereo: Spotify, Pandora, Google Music, Local Music (stored on the phone) and Web Radio. The app is free for Wirelinq users. USB streaming and playback from any music apps, with integrated controls, is available if your phone supports USB streaming. Q: What kind of car stereo is Wirelinq compatible with? A: Wirelinq works with car stereos in most vehicles 2009 and up that have USB port for the iPhone. Note that the USB port should accept the iPhone with standard USB to Lightning cable connection. Wirelinq also works with aftermarket stereos 2009 and newer with USB port that supports the iPhone. Typical well-known brands include Kenwood, Pioneer, Clarion, Alpine. 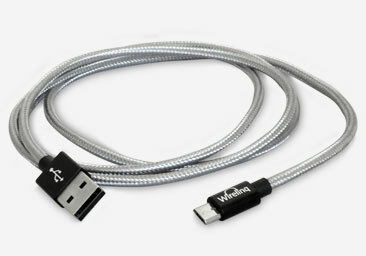 Q: Will Wirelinq cable charge my phone when connected? A: Yes Wirelinq will charge your phone when connected. Q: Do I need to install any special application on my Android phone, in order for Wirelinq to work with it? A: Yes you will need to install Dashlinq Android Music Player App. The app allows your Android phone to communicate to the car stereo. Dashlinq Android Dashboard App is free for GROM Wirelinq users. Q: Is Wirelinq compatible with any Android phone? A: Wirelinq is compatible with majority of Android phone models. With some phones (such as Pixel 2, Huawei ) it is compatible only with Dashlinq application plugins, because Pixel 2 and Huawei phones do not support USB streaming.